any of you guys heard of this one? what do you think? Not much, but it seems fun! Looks like "Squad" with WW2 skins. No ? Yeah your right, seems exactly the same format using ww2 skins..
Yep, Joe was right when he said that we'd be "spoiled for choice" with all the new WWII FPS games coming out. Another one to keep an eye on, due to it having actual objectives to complete. Turning out to be the best year in gaming for me since 2008.. Awesome!! I'm curious about this game too. We shall see. Was hoping a new game would be out in 2017, but as well as Battalion as this will be 2018.. Here's the first email update. I'm sure you guys will like it. The last couple of weeks have been a rollercoaster. We were caught off guard by the amazing response by the FPS and strategy game communities as we’ve begun to unveil all the work we’ve done over the last couple of years. We want to assure you that this is just the tip of the iceberg. As gamers and developers, we understand that communication is the most important aspect of creating an independent title and we understand that supporting a brand new title is a risk. We too have been stung by amazing screenshots, great ideas and then games that have never materialized. We've had many people ask what the plan is behind our Kickstarter, Alpha and Beta, and how they can be a part of our testing phase. So, we're laying down the plan. We've been lucky enough to receive a huge amount of support from across all our channels - be it Facebook, Youtube, Twitter and on the website. Collectively we’ve had over five million views! We'd appreciate it if you followed us across these channels as it'll help us keep you up to date with the progress as we develop Hell Let Loose. We’re going to launch some video content to start giving you an idea of the mood of Hell Let Loose, as well as showing you the first map in motion. During this time, we’ll also complete the Steam Direct process. Valve will be launching this process on June 13 and it'll allow us to begin implementing the Steam subsystem for Hell Let Loose - bringing us that much closer to release. It'll also help us issue Alpha, Beta and Early Access keys to our Kickstarter backers. Our Kickstarter will launch shortly after the cinematic with a video showcasing gameplay and ourvision for the title. We'd absolutely love your support. It's going to be crucial to allow us to deliverHell Let Loose with as much content as possible, in the shortest possible timeframe and at full-release quality. Without the Kickstarter we won’t have the funds to be able to finish the title for 2018, so your support really does matter! The Kickstarter will offer several tiers - beginning with the Veteran tier (USD $29.95) - that allow access to our Closed Alpha and Beta testing phases. If you’re interested in helping us test the game, then we’d love your support here. If you’re not interested in fighting through the bugs with us and would prefer to enjoy the title at launch, by supporting our Rifleman (USD $24.95) tier you'll be receiving a nice discount on the title when it releases on Steam next year for an estimated retail price of USD $29.95. We also have a limited number of keys for the Scout (USD $19.95) tier. The Scout tier will offer both a discount on the game when it releases, but also access to our Closed Alpha and Beta waves. There are only a limited number of these, so get in quick when we send our Kickstarter Launch email. Lastly, if you want to support us above and beyond, we’ve lined up lots of goodies for the high tier backers. From the soundtrack and hi-res tactical maps, to the chance to see your name in the credits and choose a map to develop - or even naming a Tiger tank - we hope we can provide something for everybody in our Kickstarter. If you’ve been generous enough to back us at the Veteran (or higher) tier in the Kickstarter, you’ll receive a key to jump on and help us test the Alpha and Beta client of Hell Let Loose in Q3 and Q4 (approximate) of 2017. Thanks for joining us on this journey! We're going to continue to update you as exciting things happen here at Black Matter while we work to bring Hell Let Loose to a PC near you. In the meantime, please enjoy some screenshots of the game-ready MP40. This is the workhorse of the German Assault, Officer and Engineer roles and will be crucial for laying down close-range fire and clearing close-quarters environments such as farmyards and orchards. Those with sharp eyes may also notice the greasy thumbprint left on the magazine! Thanks for taking the time to post all that info, Blue . I only copied and pasted it. It's fine. I wonder if Battalion will also have a good looking graphics. That last video looked quite good, lighting/texture around the water was superb! Yes, I genuinely was . Let's see if the game lives up to expectations . 1. Initial funding goal reached! Thank you for your generous and passionate support! Each time you’ve forwarded the link, shown the video or had a conversation you’ve taken us one step closer to funding - and now we’ve made it! You’ve helped raise over $100,000 USD in 5 sleepless days! 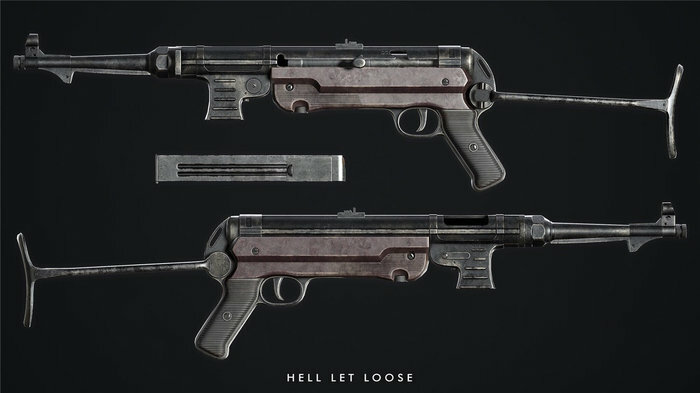 With the incredible pledges of over 2,450 backers, we’re able to take development of Hell Let Loose to the next level and we’re excited to show you what we’ve got planned. 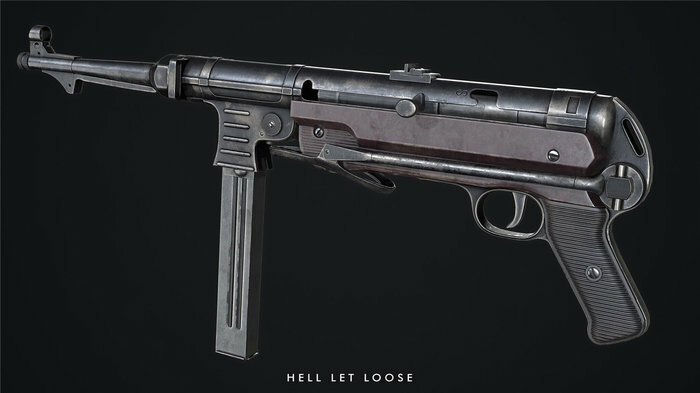 New weapons, new vehicles, new maps, new characters, new animations, new fx and new sounds. Make sure you follow our channels (which can be found at the bottom) and subscribe at the website for continual updates. We’ve read the comments and it’s clear that our first order of business is to establish a PayPal method of payment. We're currently looking at solutions, but know that we won’t let you miss out. Now that we’ve hit our base funding, we’re moving into all new territory with stretch goals. As Kickstarter supporters we’ve seen our fair share of giant and relatively unappealing goals, and we’ve worked hard to create ours to reflect what we would want to see if we were supporting a title - real updates introducing more content into the game. These added levels of funding will go straight into allowing us to hire more devs to drastically increase the speed of implementation. The complete list is available on the main page, but here are the initial stretch goals with approximate AUD dollar amounts - for those following along at home! 2. Mortars and Foy Unlocked! Thanks to your continued support we're proudly able to strike mortars and a Foy map off our Kickstarter stretch goals! Next up is a chance to really light up your life - with Flamethrowers as a usable weapon. Not gonna happen! Did you back it too? I'm hoping we'll get to the Carentan stretchgoal! I back just about anything WWII related, imma huge WWII history buff so Im simple man, I see WWII and I like it hahaha! Hah! Cool, man. ^^ I'm looking forward to this one! In no time at all we've reached the Flamethrower stretch goal! In case you missed it, the US forces and the German forces will each have access to a Flamethrower. Best used indirectly to clear structures and compounds, the signature silhouette of the fuel tank will make you a high priority target on the battlefield. We're yet to begin work on the German equivalent - the Flammenwerfer 41 - but expect to see more as development progresses. In the meantime, check out these images of the game-ready model of the US M2-2! If war is hell then the M2-2 Flamethrower kept the fire burning. Spewing a 40 meter arc of flame, the M2-2 was used by the US army to flush the enemy out of defensive emplacements, structures and dense undergrowth. In Hell Let Loose, the US Support role will be equipped with the M2-2, making him a devastating force in close-quarters and a high priority target for the enemy. Success with the M2-2 will be identifying the enemy position and using indirect fire to neutralize it before the defenders have a chance to react. While you're a terrifying presence on the battlefield, you can't ignore the fact that you're running through fire with a tank of fuel on your back! One thing that does bother me a little bit about these "goals" is the huge gap of money between each goal. Like 10k for just a flamethrower which I am about 98% sure you already have created for the game. Another is the Scout vehicles which sit at 240k, like cmon... I am willing to bet its A) already done or B) going to be there weather they hit that goal or not. More realistic goals for the amount of funding they are looking for would have been better but I still can not wait for this! Dense forest will force vehicles on to narrow roads. The M5 Stuart Light Tank and the Panzer II 'Luchs' will provide a lightly armored, fast-moving vanguard to the heavier main forces. In Hell Let Loose we expect light armor to move as fast as possible into central positions on the battlefield. The temporary screen they create will allow heavier elements and infantry formations to move into position before the main host engages in battle. The Belgian Gate (also known as the C-Element or Cointet-element) was a common anti-vehicle trap during the war. Stretching three meters wide and two meters high, only a few of these enormous metal gates were needed to completely block a road. In Hell Let Loose, the German Engineer role will be able to deploy them at a cost of supplies. 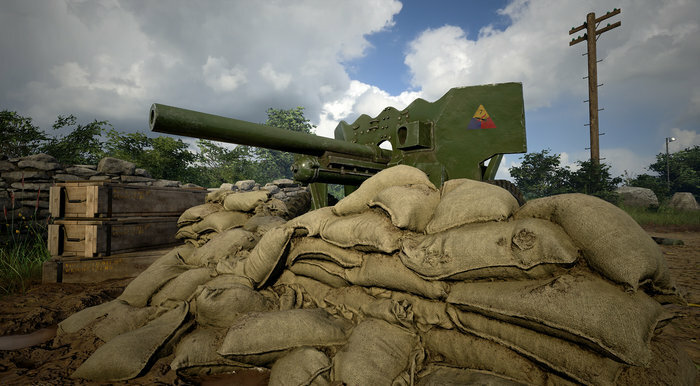 Clever placement of them will force enemy vehicles into open fields, choke points, ditches or bring them to a halt entirely - leaving them vulnerable to mines, anti-tank gun fire and close quarters infantry assault.